The 16th European Heathlands Workshop will explore the range of issues facing heaths in a crowded world. Based in the Dorset Heaths, site visits will include the New Forest National Park in Hampshire, the Purbeck Heaths and the more urban heaths around Poole in Dorset and the East Devon Pebblebed Heaths near Exeter. These contrasting sites will provide the context for a range of themes that will run through the conference, including landscape and connectivity, grazing and commons, climate change impacts, public access, growing pressures from urbanisation, bare ground creation and mire restoration. Discussions on the use of new technologies such as UAVs (Unmanned Autonomous Vehicles or drones) for habitat monitoring will be welcome. We are no longer taking bookings for the main part of the conference, which is now fully subscribed. There are still places available for the extension to the Pebblebed Heaths in Devon. Any conference delegates (or others) who wish to attend should book using the link below. The closing date for submission of abstracts for presentations has now passed, however we can still accept abstracts for posters, please email info@ehw.uk if you would like to bring a poster. Britain's largest lowland heathland area with a long-standing tradition of commoning. 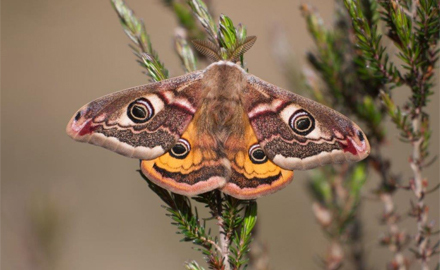 Now a National Park, it includes 30,000ha of heathland, grassland, woodland, wetland and aquatic habitats and supports species that occur nowhere else in the UK. Focusing around the Poole Basin including the iconic Purbeck Heaths and fragments within the conurbation of Poole and Bournemouth. Featuring transitions between dry and wet heathland, mires and other habitats such as woodland, grassland and saltmarsh. The largest block of heathland in Devon comprising over 1000ha of adjacent commons with a rich archaeological history, supporting important species of birds and dragonflies. Significant for the range of heathland communities including valley mires. The closing date for the submission of abstracts for presentations and posters is 1st February 2019. Click below for more details. If you’d like to get in touch about the 16th European Heathlands Workshop 2019, please send an email or submit a contact form.